Huddly has built a smart camera that only has one mission: make your video meetings more productive. Now for the most part, you probably don’t think much about what camera you use for your video conferences. They are pretty much all the same, after all. 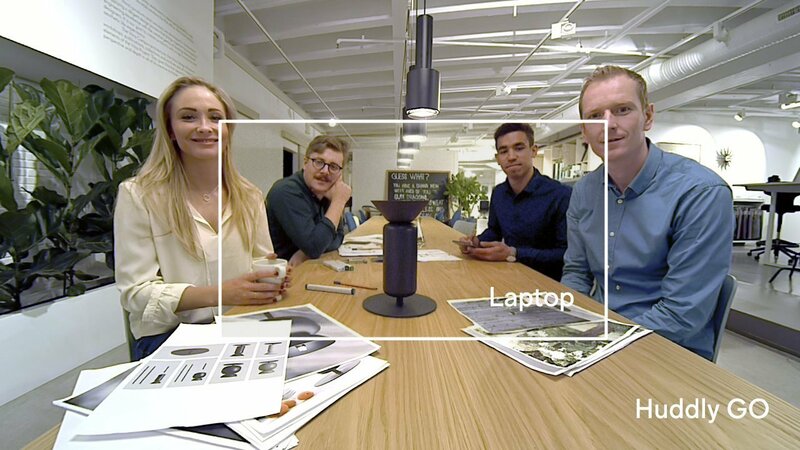 But Norway-based Huddly thinks its smart wide-angle GO camera, which is now shipping for $499 through its resellers and which will be available directly from the company next week, can make the difference between a productive meeting and yet another wasted hour. This marks the first time that the Huddly camera is available for direct purchase. Until now, it was only available as part of Google’s Hangouts Meet hardware kits. 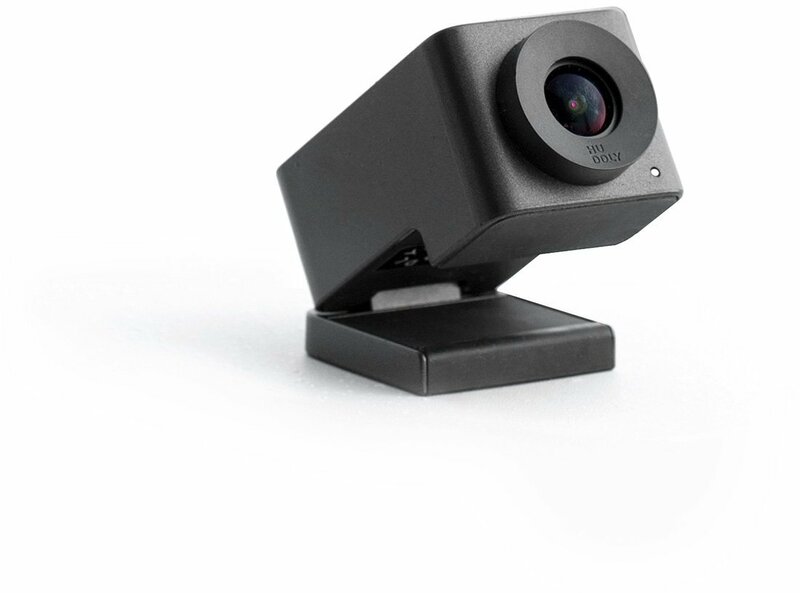 The idea behind the GO, which works with any Windows, Mac and Linux machine, is to put as much intelligence as possible right into the camera (though some of this is still a work in progress) to make video conferences more productive. This means that it’s using on-board computer vision to understand who is in a room and what the lighting looks like, for example. The camera also provides three separate video streams (4k, 720p and 480p) from its 16-megapixel sensor. Developers can access these streams via Huddly’s API to allow for intelligent features like auto-crop, digital pans and tilts or content capturing (think automatically capturing and transcribing the content on a whiteboard in a room, for example). Huddly’s new CEO Jonas Rinde told me that the company, which currently has about 45 employees, wants to embed all of this intelligence in the camera. To do so, it is already building a Movidius Myriad 2 vision processor into the GO camera. For now, some of the work is also offloaded into the Huddly desktop app. “But as that matures, we are working to bring this into the camera,” Rinde said. This means that by Q2 2018, the company says, many of the features that are currently only available through the Huddly API will be running right inside the camera. Rinde told me that the company keeps a list of about a hundred features that it wants to add to the camera software, which only weighs about 0.24 lbs. To see its vision through, Huddly also announced that it has raised another $10 million in a Series C round led by Huddly Chairman Graham Williams, with participation from Mertoun Capital, existing investors from the Series B round and a number of other Huddly employees. This new round values the company at $68 million, though Rinde told me that he aimed to keep the valuation in this round as low as possible, even though the round was oversubscribed. Indeed, Rinde believes that this may be the last funding round for the company as he expects that this money will see Huddly through building its next two generations of hardware and that the company will be profitable in 2019. Rinde tells me that Huddly already has a second generation of its camera in the pipeline, which will live side-by-side with the current version. This next-gen camera will feature even more built-in processing power (and will likely be more expensive), though Rinde obviously didn’t go into details about this forthcoming product. He was willing to share that the third generation of the GO camera will be more like an IoT device. To build all of this new hardware and software, Huddly is going to use the new funding to double its engineering team. Over time, Huddly also plans to move beyond the video conferencing space and move into other areas.